Apple has been busy in 2010, including launching the iPad, iPhone 4, iOS 4, new iTunes, new iPods, record setting revenues and net income for the third quarter, and now an all-new MacBook Air! The Apple press release, "Apple today unveiled the all-new MacBook Air, the first of the next generation of notebooks that will replace mechanical hard disks and optical drives with Internet services and solid-state flash storage. 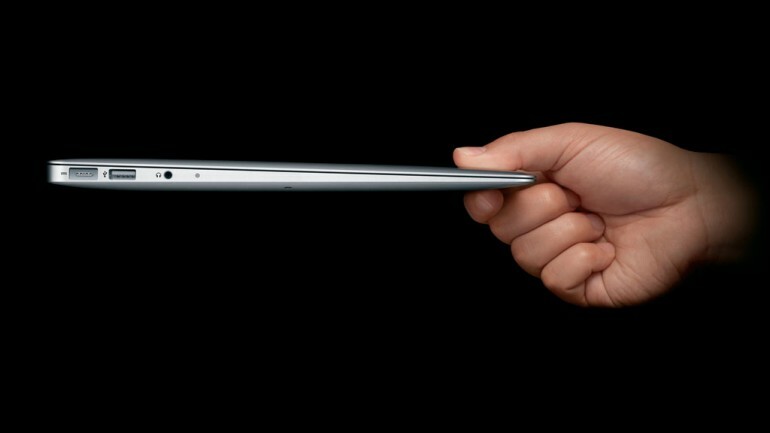 Available in 11-inch and 13-inch models and weighing as little as 2.3 pounds, the MacBook Air is Apple’s lightest, most mobile notebook ever. MacBook Air uses the same solid-state storage technology as iPad to deliver instant-on responsiveness, up to seven hours of battery life, and up to 30 days of standby time. Starting at $999, the MacBook Air is available now on the Apple Store and at your favorite Apple Retail Store." The all-new MacBook Air was unveiled at the Apple October 20 "Back to the Mac" event, which also included updates for the iLife suite, FaceTime for Mac, and a peak at the next OSX upgrade, Lion. (CNETTV) Dan Ackerman takes a look at the new 11.6-inch MacBook Air, which features an Intel Core 2 Duo processor. (Apple) The next generation of MacBooks features all-flash storage, a Multi-Touch glass trackpad, a long-lasting battery with up to 30 days of standby time, and a high-resolution display. Now available in 11- and 13-inch models starting at just $999.